The name of this beer came about as our Head Brewer having a bit of a stab at the market. 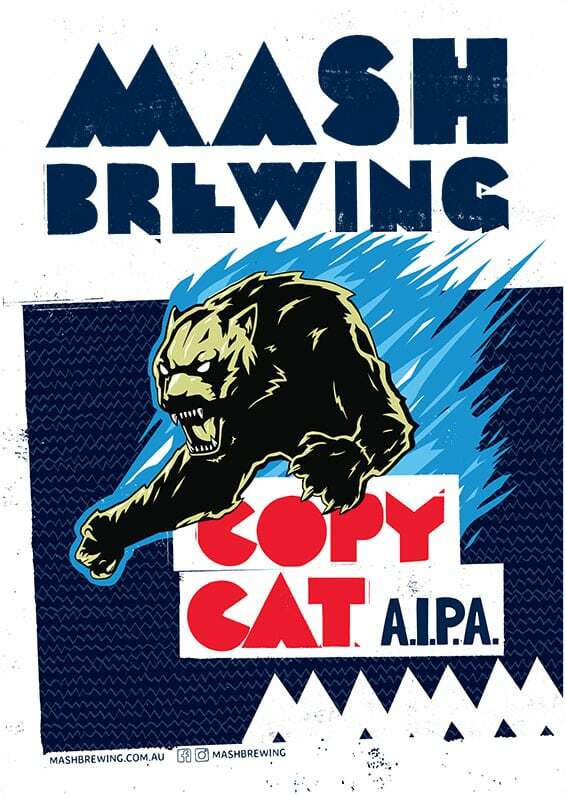 It seemed that everybody was making or asking for an American IPA, so we will be the Copy Cats. The first batch ever brewed was sent straight to the Australian & International Beer Awards (AIBA) and picked up Champion Australian Beer and Champion IPA in 2014. Yeah that’s how awesome our Brewer is at recipe writing – first attempt and we win the country’s highest possible award. Since then Copy Cat has medalled at every competition it’s been entered in and would be one of Australia’s most awarded and best beers. A big West Coast IPA, bulging at the seams with tropical, piney, resinous hop bitterness and aroma. Malt is just here to hold it all together and stop the bitterness spilling out into the streets. It tips the scales at 6.8% and 70 IBUs. Copy Cat? There are not many “IPAs” like this one!! 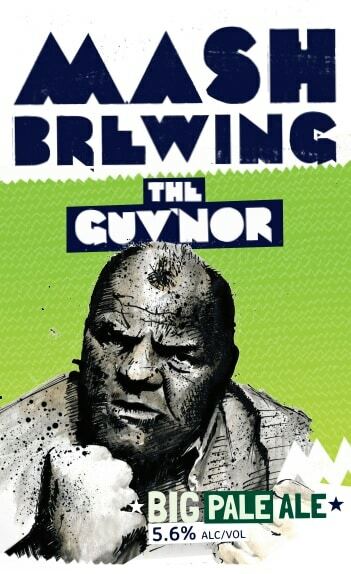 The term Guv’nor means biggest, hardest bloke around and we figured that our pale ale is a pretty good example of the biggest baddest pale out there! We have one of the best IPAs in the country in Copy Cat but we certainly didn’t set about to make a weaker clone of that. This pale ale is its own beer but if you like one you will definitely like the other. Biscuity malts and a drying bitterness make for and epic experience. Pale ale is a style that is meant to be easy to drink but have plenty of aroma and decent bitterness, which we have achieved in big sums in The Guv’Nor. The artwork is based on a photo of the late great Lenny Mclean, he was the hardest man in Britain for quite some time. A bare knuckle boxer, door man and actor, Lenny was quite a well-known hard man. He starred briefly in the cult classic Lock Stock & Two Smoking Barrels as the Baptist. If your into great pale ales with solid IBUs , great malty backbone and more tropical nose than a monkey passing wind, then the Guv’Nor is your man. Clean, biscuity and resinous, drying and bitter late, everything you could want in a pale and then some. It weighs in at an approachable 5.6% with some solid IBUs. Centennial, Mosaic and Amarillo hops get the nod. This is a beer that is well made, carefully crafted and drinks as fresh as its namesake. 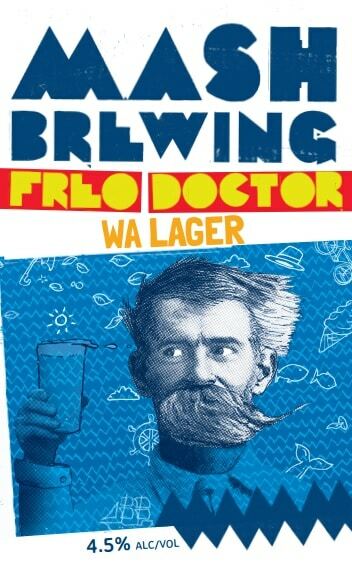 This is one of our original beers and has been quenching thirsts for nearly a decade as locally made lager for the fine people of WA. We like to do things differently and sometimes even we like do things before they are cool like the dude on the label George E Ohr. George was the self-proclaimed mad potter and was way ahead of his time. He was often told “No you can’t” but didn’t care a bit and made his art his own way. We like to think that we aren’t all about what’s popular but more about what’s good. George was cool, be like George. A fresh Pale Lager brewed with Australian pale malt and two varieties of “Noble” European hops. A zesty aroma sits on top of the subtle, vanilla malt profile. The bitterness is gentle and finishes with a touch of sweetness. This is Australia’s only certified Abbey Ale. 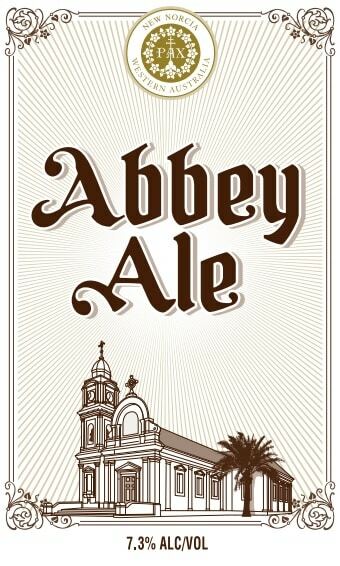 To be a true Abbey Ale you have to brew the beer in collaboration with a monastery. Mash has teamed up with the monks from New Norcia which is only a couple hours from our brewery. This ale is a celebration of cultures, tastes, aromas and tradition in a collaborative relationship with the brewers and the monks. That nose! Subtle banana, spice and bubble-gum to name a few that come to mind. “Bready” and soft biscuit malts pave the way for some restrained back palate “booze”. It’s one of those tasting notes you could just keep on writing (and tasting of course)! The original IPA’s were the English style and were first about in the the early 1700s. Not wanting to conform to what everyone else was doing we decided our first IPA would be a traditional English style but with a minor twist. We named it Challenger for a couple of reasons, but as per usual, mainly to take a stab at the market. Challenger is a well-known English hop and this will often prompt experts to say “Oh yes chap, I can certainly pick up that challenger hop”. 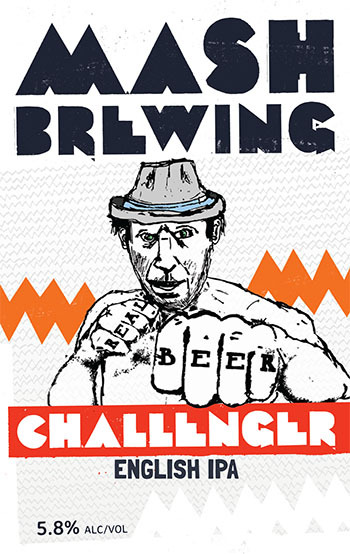 The funny thing is that there is no challenger hops in this brew. Brewed in the English style with generous Whirlpool and Dry Hopping from English and N.Z hops. Tropical fruit on the nose, moving into Apricot and Orange with complimentary caramel malts. Our IPA finishes with a bitter, lingering, resinous kick. This little beauty is crafted from local Southwest apples. The artwork is inspired by the biblical concept of of Adam eating an apple from the tree of knowledge. At a reduced level alcohol (3.5%) this cider is both a responsible and delicious choice. 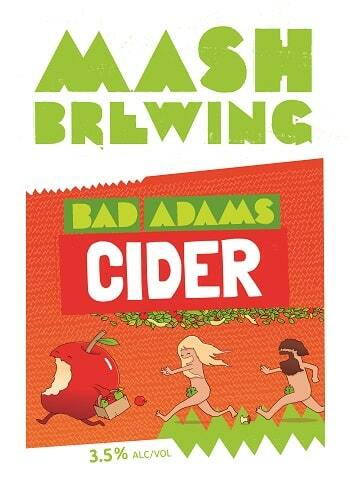 Bad Adams Cider is the original sin. A delicious creation made from the tree of knowledge. Clean, crisp and clear with a medium finish. At 3.5% you can enjoy it all day. So we believe the best summers on earth are in WA. To represent that sentiment we have made the perfect beer to pair with the wind, waves, endless hot days and everything that is a WA summer. 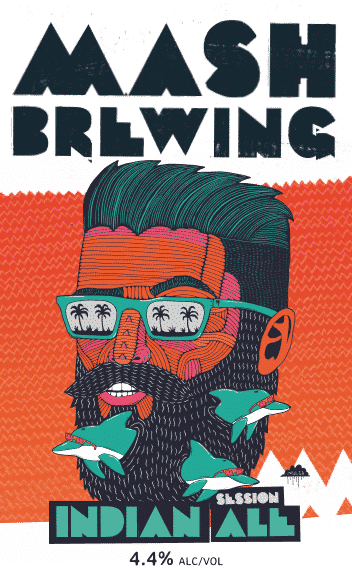 The Indian Ocean is often the source of some of summers best times and this beer is a salute to all that is a WA summer. Our little Hop Bomb! Hops and more hops, cram ’em in. Galaxy, Citra and Mosaic, hold back on the bitterness, run some sweeter malts and bingo, Session ale! This is a little ripper at just 4.4%.